Product is ready to eat. No preparation required. Trucks carrying this product will be loaded and transported in a sanitary manner following all requirements stated in this specification. Product will be transported at a temperature of 33°F - 40°F. The arrival temperature may reach a maximum of 45°F. If the product temperature deviates from this specification for any amount of time, the shelf life may be shortened or the product functionality may be damaged. 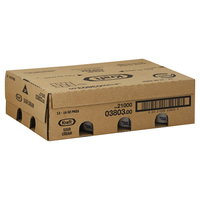 The product may be held a maximum of 15 days in prepackaged storage prior to delivery.Product must be stored in a refrigerated environment at a temperature of 33°F - 40°F. If the product temperature deviates from this specification for any amount of time, product functionality may be damaged.